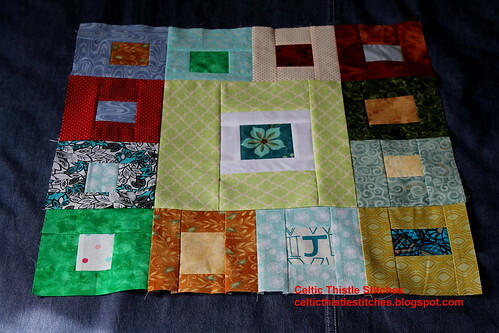 Celtic Thistle Stitches: The Scrap that was June! There's a lot of Scrappy in that mosaic! 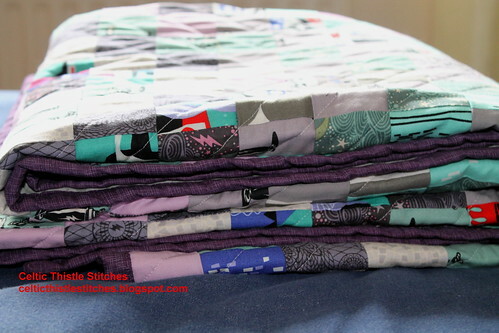 Maybe I should plan a Scrappy Halloween Trip quilt next! Although given that I had aimed for 4 finishes for Q2 of the FAL and only managed one, maybe not! 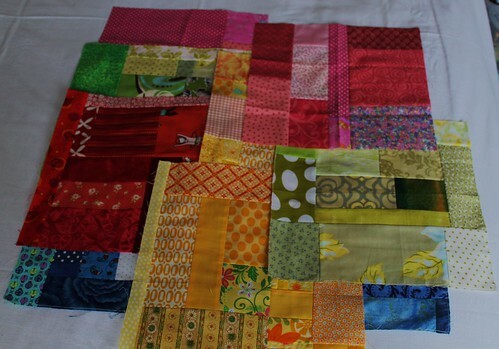 The blocks from the first round of the Sunday Morning Quilts Bee still need to be turned into a quilt top! If I don't get this one finished soon it will be joined by the blocks from the second round which have been arriving over the last few weeks! I have discovered that I am much more likely to get a project finished if it is not for me, so with that in mind I have joined another Bee with the express aim of completing some projects for me. The aptly-named Me Me Me Bee . 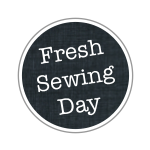 Check out Kettleboiler's post if you could do with some Me Me Me sewing motivation too. All of this month's Scrappiness has meant that I was in danger of falling even more behind with my Bee blocks, so the last couple of days in June saw a burst of Bee block activity. Whilst Martha wanted low-volume, neutral blocks with pops of colour. 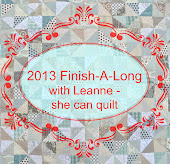 It will be fun to see how the two different quilts turn out. With these two blocks in the post I am up-to-date (just) for the Sunday Morning Quilts Bee but still way behind with the Star of Africa Bee, maybe I will finally catch up with them in July! You've been busy! Looks like you have been around the world several times! You've achieved heaps, Fiona! 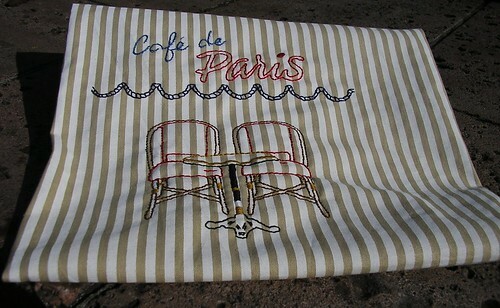 The Cafe de Paris embroidery is looking great!!! 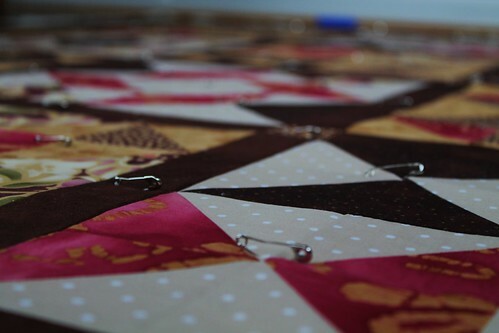 You have made progress and the quilt for your son looks great! I'm hoping for better results in July. 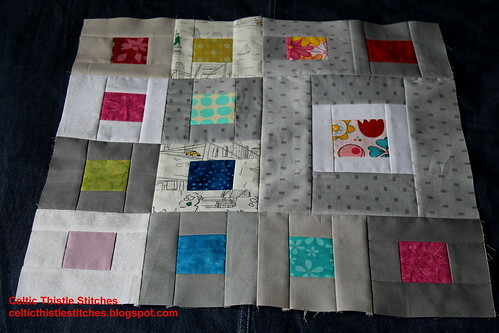 Love your blocks and of course the stitchery is beautiful. 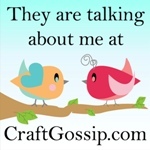 Your scraps are gorgeous!! I love the idea of a Halloween one! Love your bee blocks. 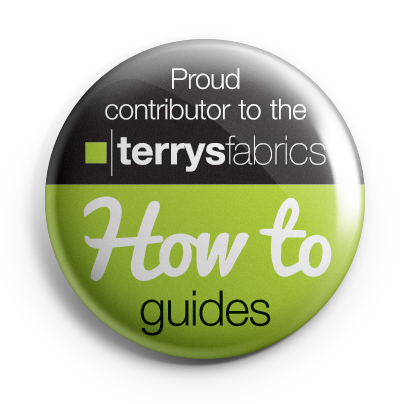 I am fascinated with the different looks you can get changing up the fabrics. Wonderful colour study, thanks. 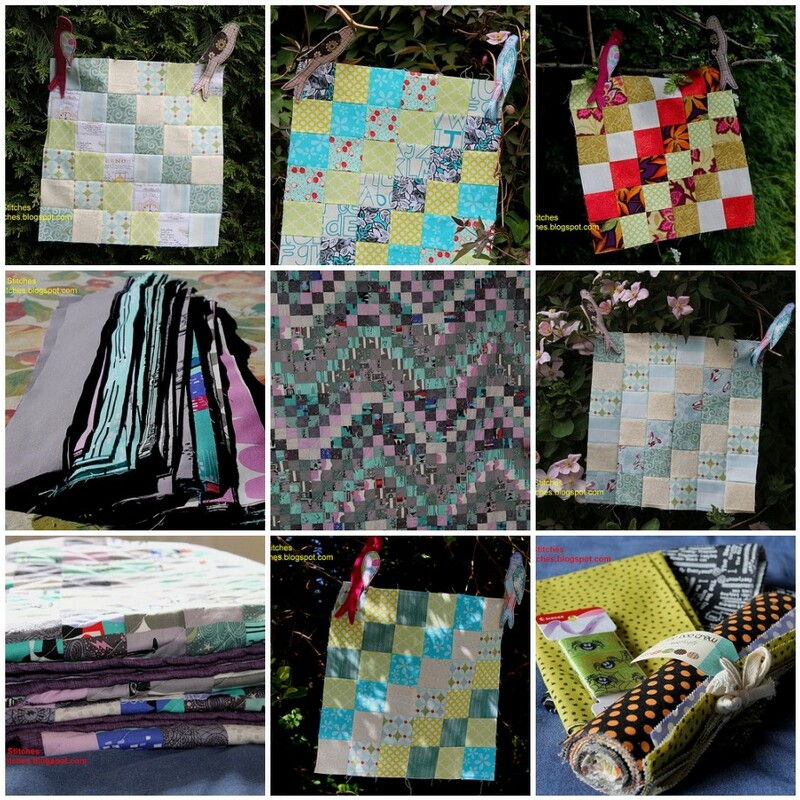 loving all your bee blocks and scrappy works! 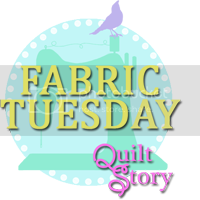 Well done on winning your Halloween fabric! Fab collection of blocks there! That scrappy trip is beautiful, as are the other projects. A lovely finish.